Skinning is an excellent money maker in the World of Warcraft and also provides the raw materials for leatherworking, and some bits and pieces for other professions. 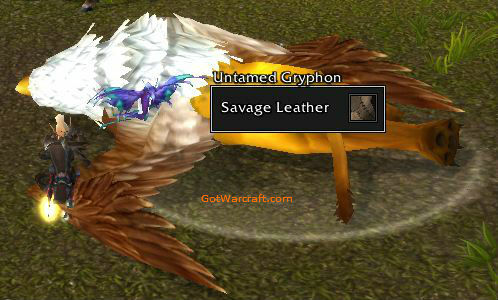 Prices on some of the higher level skinned items (eg: Savage Leather) are right up there with other gathered items. Often they’ll be pretty good for lower level items, as well, since people tend to farm the high level areas. Also, since you are going to be killing so many beasts in this game you won’t have to do much to make some good cash through your skinning profession, even if the prices get a bit low at times. Skin everything you kill and you won’t have to pay much attention to what level your skill is, it will always be high enough, unless you’re blasting through the levels using Recruit-a-Friend. Note – Players will frequently kill animals which they don’t skin, so you can go in and clean up after them, gathering piles of free skins. Note: Items such as Heavy Savage Leather and Cured Hides are created by Leatherworking, and are not skinned. Any given critter might drop any of several types of leather. To get the Skinning skill simply run to your nearest trainer (ask a guard for location) and don’t forget to buy a skinning knife from the supply guy/gal. Then get to work. By the way, Worgen are the best skinners with a +15 bonus and quicker skinning. All of the starting areas offer plenty of opportunity for skinning, you don’t have to travel to Durotar or Elwyn Forest, unless you want to. You should get your skill to at least 65 before moving to the next zone. Generally mobs will have a skinning requirement of 5x their level, so those level 14 mobs will require (5 x 14) 70 skinning skill. If you keep your skinning skill at a minimum of 5x your own level you should be good all the way to the end. Beasts in the startng areas (the level 1-5 areas) cannot be skinned. You will need at least 300 skill to skin anything in Outlands, 375 for Northrend, and 450 for the Cataclysm zones. Trapper’s Traveling Pack holds 28 slots (for skinning.) There will likely be a bigger on in Mists of Pandaria. Pick Worgen as your race. Want to make professions easier? 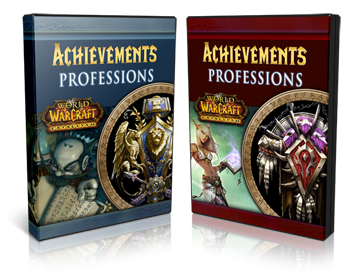 This is an in-game guide to leveling all of your professions and getting all of your achievments. All of the “where to go and what to do” is right there for you. Get yours here. Best spot for leveling in MoP? For leveling skinning? Not sure where “the best spot” will be, but there are a bazillion beasties. My best advice for launch is to try and get away from the crowds (generic, I know.) Be geared enough that you can go to a higher level area w/o getting slaughtered by the wildlife. There’s no flying until level 90, so consider getting that out of the way first. On the other hand, I think you’ll make some very nice gold if you can get some skinning done ASAP. I think prices will be quite high for a few days.